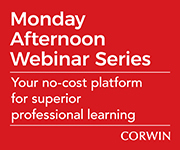 Why attend a Corwin webinar? The next best thing to an on-site workshop, Corwin webinars are your opportunity to interact directly with the field’s most influential thought leaders on a range of critical issues. What’s more, they’re free! Invite your entire team for a start-to-finish professional learning experience. Or download the slides post-webinar and share with your colleagues..
Join Doug Fisher, Nancy Frey, and John Almarode for a preview of their newest work, PLC+, as they place student learning, effective teaching, and a focus on equity at the heart of what we all strive to accomplish. Learn how PLC+ provides a framework for the planning and implementation of student learning, teacher professional learning, and cycles of assessment and reflection that direct next steps. The educational landscape is evolving, thanks to continuous advances in technology and a changing learner. As a result, educators must recognize this shift, anticipate needed changes, and lead by example if we’re to meet the diverse needs of key stakeholders in the 21st Century. Join Eric Sheninger to learn how to harness the power of today’s digital tools and social media to improve communications, enhance public relations, establish a brand presence, increase student engagement, transform learning spaces, discover opportunity, and grow professionally like never before. Why do leaders need coaches? It’s an all-too-common occurrence: leaders are being asked to do more with fewer resources, putting them at risk of losing sight of their moral purpose. Because of this, coaches have become a must-have resource. Helping leaders focus on impactful goals, coaches also demonstrate how leaders can become better coaches for their assistant principals, building an overall stronger school community. 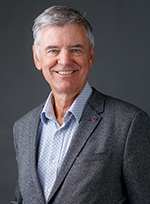 Join leadership author, consultant, and coach Peter DeWitt as he uses a unique case study approach to guide participants through the coaching process. We know that writing skills reinforce reading skills, but what’s the best way to capitalize on this beneficial relationship? By flipping the traditional “reading lesson first, writing lesson second” sequence, Colleen Cruz ingeniously helps you make the most of the writing-to-reading connection with carefully matched, conceptually connected lesson pairs. Attend this webinar to discover how you can do the same and establish a healthy reciprocity that effectively and efficiently develops students’ literacy skills.